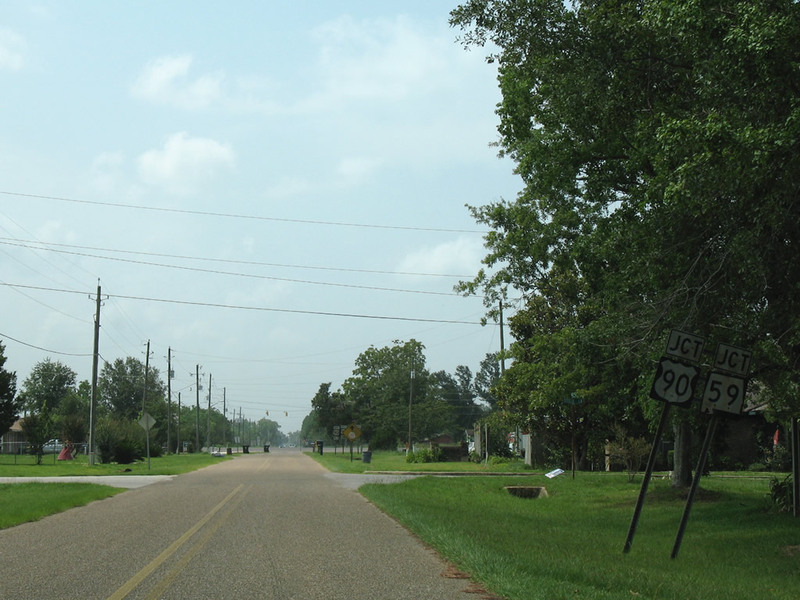 U.S. 90 & Alabama 59 shield assembly posted along Baldwin County 55 south in Loxley. 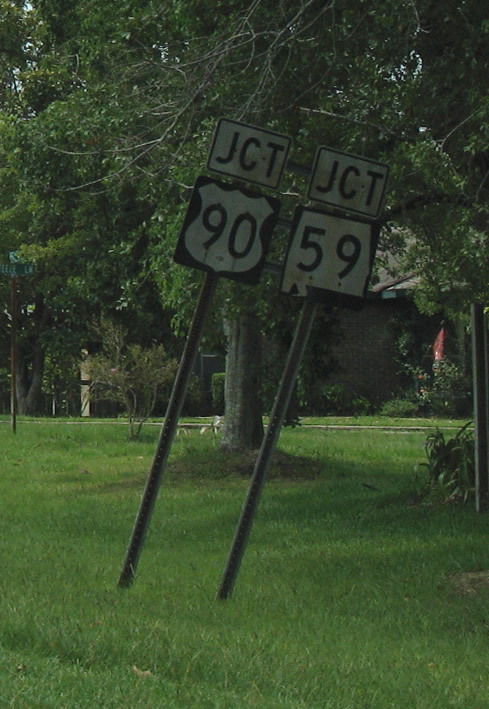 These were replaced by 2009. Photo by Alex Nitzman, 8/3/2006.